We blended certified organic medicinal plant extracts with H-Balm to create H-Balm Medicated Cleansing Bar. This provides an unparalleled cleansing agent to treat outbreaks. During an outbreak, proper hygiene is critical. Skin tissue is already aggravated and vulnerable to infection as a result of exposed open sores. It is therefore vital to cleanse the infected area with an all natural cleansing agent prior to applying any antiviral remedy. H-Balm Medicated Soap is not only highly potent in its action, but also non invasive and exfoliating. It is an outstanding cleansing agent in the fight against outbreaks. Anyone afflicted with outbreaks will benefit greatly with this medicinal soap prior to applying H-Balm. 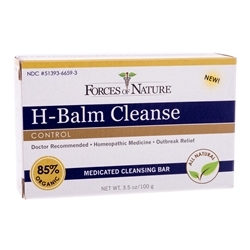 H-Balm treatments are highly potent. They enjoy a well deserved reputation as THE all natural treatment of choice to fight outbreaks. 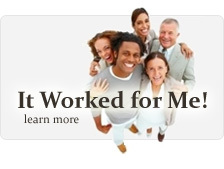 They are effective natural medicines approved for over the counter sales. Our unique formula and special manufacturing process of H-Balm Medicated Cleansing Bar creates a specialized cleansing agent that is an ideal medium for the dispersion of H-Balm into human skin. The formulation is based on the wealth of evidence to support the use of H-Balm as an effective outbreak treatment. The H-Balm Family of treatments is simply the best in their class and work time after time.